Our goal is to connect people with the best local experts. We scored home inspectors on more than 25 variables across five categories, and analysed the results to give you a hand-picked list of the best home inspectors in Austin, TX. A-Complete Home Inspection Service is owned and operated by a state-licensed Professional Home Inspector who serves the Austin area. He specializes in affordable pre-sale inspections and repair reports, new and warranty inspections, building structures, roofs, systems, and appliances. The company has an A+ rating from the Better Business Bureau. A-Tex Home Inspection promises thorough, affordable home inspections for owners, builders, sellers and buyers in the Austin area. They are InterNACHI certified and licensed for home inspection by the Texas Real Estate Commission. They offer structural component inspections, and specialize in plumbing, electrical, HVAC systems, and roof inspections. They also offer commercial inspection and work with historical homes and condos. All Clear Home Inspections offers its licensed and insured service to property buyers, sellers, owners, and real estate professionals in the Austin area. Owner and operator Gary Parsons is familiar with older homes and has a background in construction and remodeling. He is a member of InterNACHI and specializes in electrical wiring, plumbing, foundations, roofs, HVAC systems and more. All Clear has been in business since 2005. Austin Structural specializes in residential, commercial, and foreclosure inspection in Metro Austin. Structural inspections cover foundations, plumbing, electrical, HVAC, roofs, and more. The company is veteran-owned, InterNACHI-certified, and HUD-compliant. They are available for Austin Short Term Rental Inspections and documentation. Austinspect’s home inspectors are professionally trained and licensed, serving the Austin area. They take pride in providing each customer with easy to understand reports on the same day as the inspection. The company is insured and available for termite detection. They offer full home inspections, new construction inspections during any phase, and duplex and 4-plex inspections, as well as pool, hot tub, and sprinkler system evaluations. Big Sky Home Inspection is a locally owned Austin business. The owner is a former government inspector with 15 years in the field. He specializes in structural inspection, including roofs, exteriors, basements, electrical systems, plumbing, fireplaces, and more. Customers have praised their Big Sky inspector as thorough, personable, and professional. InterNACHI certified for residential, commercial, structural, and system inspection, Covenant Property Inspections serves Austin. The company offers a 90-Day Buyback Guarantee and a 200% refund. Each customer receives a detailed report of major and minor issues, safety hazards, and recommended upgrades. The report is written in plain language and includes video clips and photographs. ECS Home Inspections was founded by an Army veteran and Certified Master Inspector in 2007. His team has completed more than 8,500 home inspections in the Austin area and specializes in residential and multi-family properties, pre-listing services, and commercial properties. They offer a 90-day warranty, appliance recall information, and military discounts. Serving Austin home buyers and sellers, Exact Inspections offers certified property pre-purchase, pre-listing, and new construction evaluations. Each report is meant to be easily understood and includes a list of major and minor deficiencies, expenditures, preservation tips, safety concerns, and more. The team checks structural components, systems, appliances, and is available for irrigation systems, pools, hot tubs, and septic systems. Glen Davis serves homebuyers, builders, real estate agents, and property investors in the Austin area. He is a highly credentialed inspector who has over 30 yeas of contracting experience and has performed over 20,000 inspections. He specializes in full-service real estate inspection, phase inspection for new construction, historical consulting, commercial inspecting, and more. Glen is a published author on home inspection. Licensed and insured Austin home inspector Heritage Inspection Services is owned and operated by a Professional Inspector with over 15 years’ experience. He specializes in historic restoration, home remodeling, and new home constructions. The company offers foundation inspection, sprinkler system evaluation, and termite inspection. Insight Inspections is a full-service Austin building inspector that serves residential and commercial customers and offers thermal imaging detection. Their thermal imaging inspections combine digital and infrared technology. Each property evaluation comes with appliance recall information, a 90-day warranty, and a termite protection plan. They offer full buyer inspections, pre-listing inspections, and inspections on foreclosed property. The company is InterNACHI certified and state licensed. Serving Metro Austin, InspecTech is a full-service building inspector. 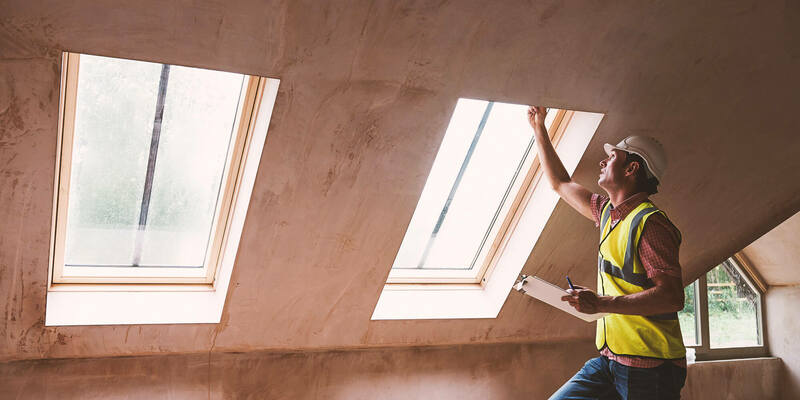 They specialize in buyer’s inspections, maintenance inspections, commercial inspections, infrared imaging, termite detection, roofs, and new construction. The company has more than 30 years of experience and adheres to the Texas Real Estate Commission Standards of Practice. The company values customer service and uses the latest software to generate easy-to-read reports. Inspection Services of Austin is a full-service property evaluator specializing in thermal imaging detection techniques. They use infrared technology to identify issues with wiring, moisture, energy loss, ventilation, and insulation. They offer new home inspection, pre-sale inspection, environmental hazard evaluation, and more. The company is a member of the National Association of Certified Home Inspectors. Scott Leppin is the owner and operator of Leppin Inspection Services, serving the Austin area. Scott performs every inspection, specializing in pre-purchase inspection, new construction, final walk-throughs, end-of-warranty inspections, termite detection, and pre-listing inspections. He has performed more than 9,000 inspections since 1991 and is insured for errors and omissions, professional liability, and general liability. Metro Inspections specializes in pre-sale and pre-purchase home inspections for Austin residents. They are fully licensed for both home inspection and pest control and are available for the Austin Short-Term Rental Program inspection. They are a general real estate inspector and do not check for environmental hazards or code compliance. Customers have praised the company’s owner for his professionalism and service. Panther Inspections was founded in 2013, and its owner is a Professional Home Inspector with seven years of experience. He offers his customers personal attention, flexible scheduling, and same-day reports. Specialties include pre-purchase inspection, pre-listing inspection, phase and new builds, warranties, short-term rental inspections, and pools and spas. Each inspection is backed by a 110% money back guarantee. Precision Inspection has served Austin home buyers, sellers, and real estate agents since 1983. The owners have 20 years of building experience are certified in home inspection by the Building Performance Institute and Precision Inspectors. They provide full-service home inspections, building inspections, and termite inspections. Prokaski Home Inspections is a locally owned and operated company that serves Austin and the surrounding areas. They use advanced technology, including reporting software, gas leak detectors, moisture meters, and thermal imaging cameras, for every inspection. Offering home inspections for both buyers and sellers, they specialize in structural examinations, electrical systems, HVAC, plumbing, appliances, irrigations, spas and pools, and termites. Right Choice Home Inspection is a family-owned business serving Austin residents and commercial customers. They specialize in full inspections for buyers and sellers that include structural components, appliances, systems, drainage, garage doors, and more. They also offer warranty inspections, pre-purchase inspections, pool inspections, and sprinkler system evaluations. The company is affiliated with the Austin Board of Realtors. Austin home inspector SunView Inspections offers structural, mechanical, and appliance review to their residential and commercial customers. They specialize in termite inspection and the owner is licensed by the Texas Department of Agriculture for structural pest control. They have worked with buyers, sellers, and real estate agents since 2006, and have a 200% Money Back Guarantee on all their work. The company is involved with several charitable organizations, including the Ronald McDonald House of Austin, Austin Pets Alive, and the American Cancer Society. Jim Inmon is a licensed, experienced Austin home inspector and the owner of Texas Inspection Service. He was the 103rd inspector to be licensed in Texas and has been inspecting homes since 1983. Jim specializes in structural components, including foundations, roofs, and porches. He is also experienced analyzing electrical, plumbing, and HVAC systems, is licensed to do termite detection, and is available for spas, pools, irrigation systems, and outbuildings. Jim takes pride in good communication and a professional, approachable demeanor. The Austin Home Inspector has operated throughout Central Texas since 2006 and serves residential and commercial customers with advanced inspection technology, project management experience, and specialty inspections. The All Point inspection includes plumbing cameras, advanced HVAC analysis, thermal camera assessments, and geological research. They work with new construction in all phases and are available to supervise repair and remodeling work. They are also equipped to check septic systems, sprinklers, pools, and do a termite analysis. The business is a member of NACHI and is veteran-owned.